Time for this month's recap of recipes I have made that were pinned on my boards to try. First up was Easy 5 Ingredient Coconut Curry Cod. With the title longer than the list of ingredients, I thought I was on to a winner. I really enjoyed it, as did my husband, but my boys found the flavours too strong even though they will usually eat curries and fish. I will try this one again, toning down the spices a little. Verdict: Keep with modification. A little lunchbox fun for my 5 year old was the PB Cracker Sandwiches Lunch. This was a great alternative to the usual sandwich, and my son came home with an empty lunchbox and has requested this again, so the verdict is KEEP! 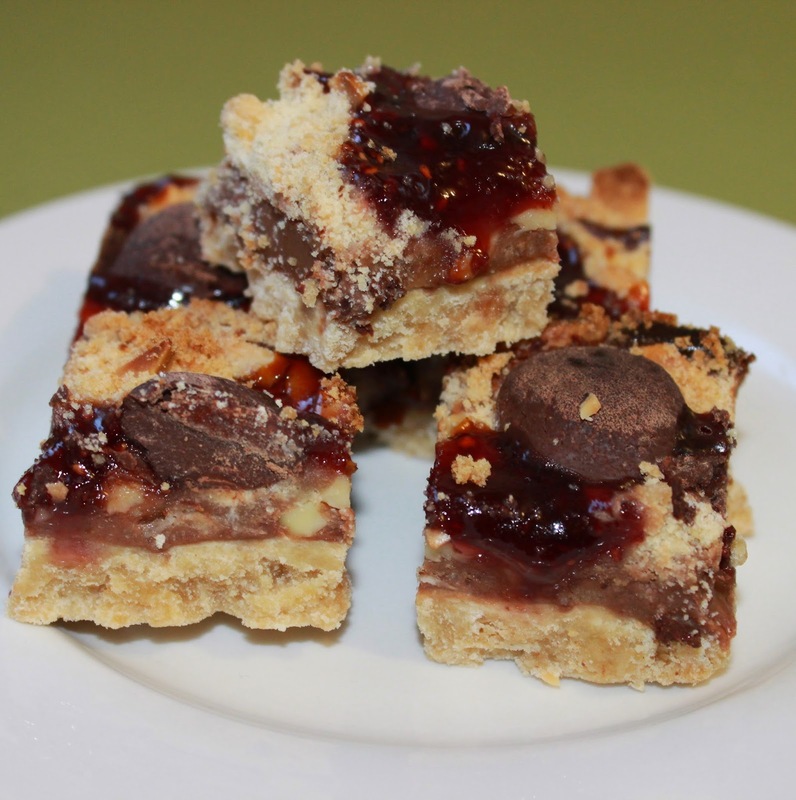 For the baking, I tried the Chocolate Raspberry Crumb Bars that I was drooling over. Mine are definitely not as pretty as the original pin, but still quite yummy and sticky. Verdict: KEEP. Getting back to basics, I cooked this recipe for Honey Garlic Balsamic Chicken for a quick weeknight meal. Served with a pumpkin risotto, this was enjoyed by everyone and my 2 year old even had seconds and thirds! Verdict: KEEP. We also tried out the One Pot Chicken Alfredo as an easy meal before a busy evening. Unfortunately it was quite watery and lacking in flavour. I tried adding more cream and cheese, but although the texture was good the final dish lacked something. Verdict: DELETE. Next month I am hoping to try some yummy breakfast recipes, as well as some Mexican inspired tastes. Have you come across any recipes on Pinterest that you want to try? I would love to see them! 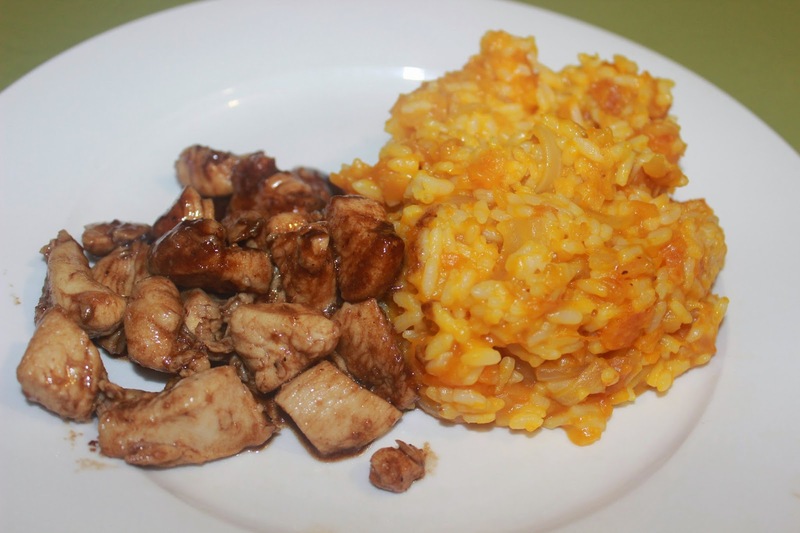 I love risotto and now I need to try that pumpkin risotto! YUM! I'd like one of each please! The chocolate raspberry bars look divine and so does your dinner. I need to try the curried fish too. We love curries and seafood, but I haven't done much curried seafood.